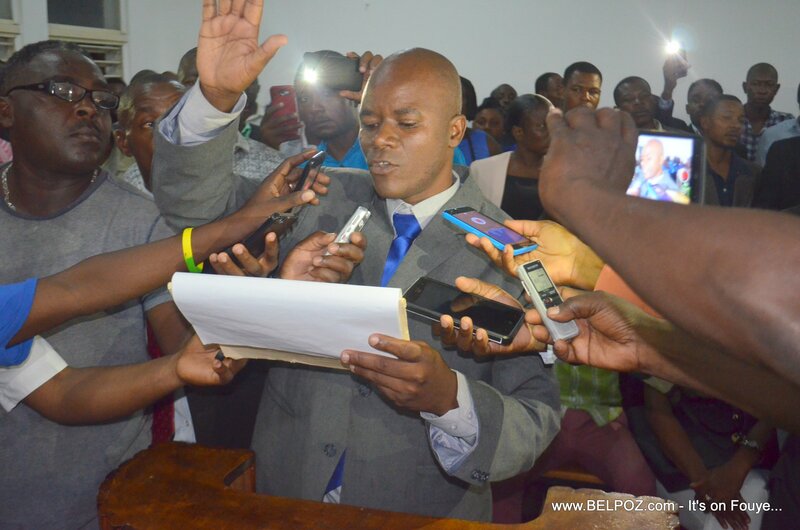 Agronome Budry Coriolan has just sworn in as the new Delegue Departemental du Centre, Plateau Central Haiti, replacing Marie Denise Bernadeau. Members of PHTK Centre welcome Budry as the new delegue Departmental. Many of them has been waiting for this to happen ever since Jovenel Moise became president of Haiti. Many of them came from all 13 communes in the Plateau Central to congratulate and welcome Delegue Budry Coriolan in his new post as representative of the president in the Centre Department.